Il commence à chanter le Gospel en 1992, quand il rejoint son premier choeur de messe, le chapitre de Sierra Leone du New Life Mission Choir, dirigé, à l'époque par Timothy Thomas. En 2001, il s'installe en France et rejoint la chorale Si Tuenda comme soliste et compositeur. Il enregistre deux albums avec le groupe : "We Shall Go", en 2002, pour lequel il compose la chanson "They That Wait", et "You Are So Good", en 2005, sur lequel il apparaît comme guitariste et soliste. En 2008, il devient président et co-fondateur de l'association Eden et le groupe Eden Gospel avec qui il enregistre l'album "Montre-Moi Ta Voie" qui connait un grand succès dans la communauté Ch'ti. Ministre du Gospel, compositeur et enseignant, Stanley décide, en février 2011, de se lancer dans une carrière solo. Son premier album "One More Chance", parait cette année là. Le disque, qui se partage entre influences européennes et africaines, est un témoignage de sa quète d'intimité avec Dieu, avec des morceaux composés au cours de ses divers voyages. Stanley Philips is a French gospel minister originated from Sierra Leone. His ministry for Gospel music goes back more than fifteen years. It was specifically in Liberia, where he made his first trip as a missionary in 1994 during the civil war debuts his work for God. He worked for 7 years in several African countries including: the Côte d'Ivoire, Ghana, Togo, Guinea, Benin, Mali, Senegal, Nigeria and Cameroon with the GRN (Gospel Recordings Network, Los Angeles). As a journalist and editor at the ELWA Radio station (The first Christian radio in Africa), he produced and broadcasted the program "The Evangelism Broadcast" (1996-1998). During this same period, he was given the responsibility to lead and teach several choirs like the Hope Tabernacle Mass Choir, Redeemed Church of God praise & worship team etc. He started singing gospel music in 1992 when he joined the Christians In Action church choir headed by Daniel Sesay (Agape) at the time. He then went on to join his first Mass choir (150 voice) the New Life Mission Choir Sierra Leone Charter with Timothy Thomas being his choir director at the time. In 2001, he moved to France and joined the Mass Choir Si Tuenda as a soloist and composer. He recorded two albums "We Shall Go" and "You Are So Good" with this group in 2002 and 2005, as he wrote the song "They That Wait" for the release of the first album in 2002, and the second album, released in 2005 in which he contributed as a soloist and a guitarist. In 2008, he co-founded and became the president of the Eden ministry and the Eden Gospel with which he released the album entitled "Montre-Moi Ta Voie" which means "Show me the way" that experienced a great success in the Ch’ti community (The North of France). 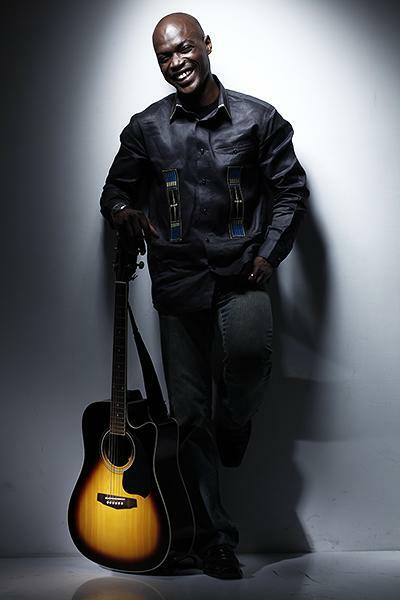 As a music minister, songwriter, and teacher, in February 2011, Stanley decided to embark on a solo career and released his first album "One More Chance" which is divided into European and African musical influences. This album shows an endless quest for his intimacy with God as most of the songs were composed during his various trips, and reflect a particular moment in his walk with God. Influenced by his travels, Stanley requires a more original style, a naturally warm and vibrant voice with words we know where to find ourselves. As a musician, songwriter, teacher and vocal coach, this artist invites us to refreshing and meditative ballads that find their inspiration in his faith in God. It is a pure delight for our ears. Today,he trains and coaches in several christian meetings in Lille and Paris in the music department, he is also a visionary who can recognize the potential in young people wishing to pursue the ministry of praise and worship. It is in this context that in 2010 he launched the first edition of "Praise Awards". A ceremony aimed to encourage young people and ministers to become aware of the importance of praise and worship and music in the church. This is an event that brought together both local and international gospel ministers. It was during this time and his collaboration with the Ble ministry that he met with the Pastor Marcel Boungou (Palata Singers) who encouraged him. Today, Stanley lives and works in France as a Praise and worship teacher in many churches.